McClarnon was born in Denver, Colorado, the son of a Hunkpapa Lakota mother and Irish father. He grew up near Browning, Montana, where his father worked in the Glacier National Park for the National Park Service] He would often visit the Blackfeet Indian Reservation, where his mother grew up, and often lived with his grandparents on weekends and for longer visits. His mother lived on the Rosebud Indian Reservation in South Dakota. His father was relocated to Omaha, Nebraska, and the family lived in the Dundee neighborhood. McClarnon said that he grew up in Nebraska, South Dakota, North Dakota, Minnesota, Wyoming, Montana. McClarnon has a fraternal twin brother. He said he his childhood was rough. 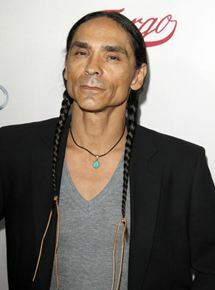 McClarnon portrayed Hanzee Dent in the second season of the TV series Fargo, where his performance was met with critical acclaim. He appeared in the TV series Timeless as Native American U.S. Marshall Grant Johnson in the episode "The Murder of Jesse James". In 2017, McClarnon appeared as Toshaway in AMC Network's The Son, which is based on the 2013 Philipp Meyer book of the same name. He had to learn the Comanche language for the role. McClarnon's first name is in honor of his great great uncle, Frank "Frances" B. Zahn, who was an artist and elder Standing Rock Indian Reservation. McClarnon's middle name, Tokiya-ku, loosely translates to mean: "first one to come."